Do you have a website? 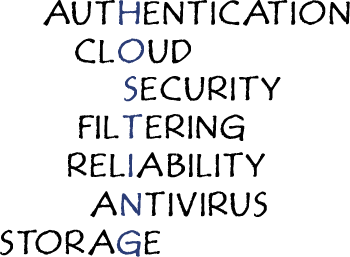 If so, for that website to be seen it must be “hosted.” Hosting is storing the data that is on your website on a server so that it is viewable to the World Wide Web. Hosting and maintaining a website isn’t easy and can be time consuming and fraught with headaches. We take the time to do things like regularly back up our websites and perform virus scans on all incoming and outgoing web files before processing to head off problems before they start. We also store your websites on multiple web servers to maintain quick response times to customers browsing your websites. Our web servers are licensed and regularly maintained. In addition, our virus software is updated daily to help eliminate the spread of newly developed or distributed viruses. This helps fight against new viruses that are developed every day. We offer WebDAV and FTP access, which allows you to easily connect to your own website at your discretion. For only $5.95 per month, we also offer detailed website reports, allowing you to effectively track your web site traffic. The information on the reports can be drilled down and displayed in graph format for simpler analysis. The reports are delivered by email, so they can easily be shared electronically or printed. We also have an all-encompassing Ecommerce/Online Networking solution available to our clients to satisfy a wide range of needs. This allows us to release the usable site much quicker than starting from scratch.